All roads lead to Silverstone for the premier annual student autosport competition. 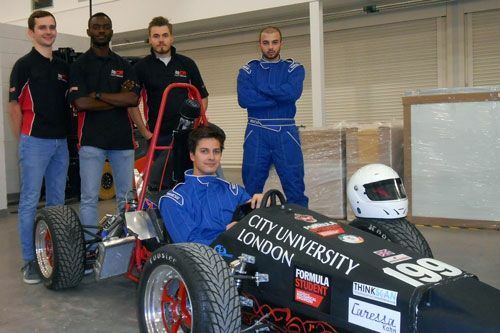 The City Racing Team is hoping to reap success during the 2016 Formula Student Competition, which will be held this year at the Silverstone motor racing circuit from the 14th to 17th July. Organised by the Institution of Mechanical Engineers (IMechE), the annual Formula Student Competition is the world's largest student motorsport event. Ross Brawn, Team Principal of the Mercedes AMG Petronas Formula One Team, is Patron of the competition. 4th Year UG Mechanical Engineering: Team Leader, Øystein Myhre, Tim Linkens, Arturs Kokins, Hiten Pindora, Manvir Bhandal, Dhiren Suhang, Parmasher Heer. 3rd Year Mechanical Engineering: Mads Sandal, Aran Nandhra, Rikesh Pindoria, Daniyal Tahir, Ed Talboys, George Avagousti, Shruti Shalini, Kishan Halai, Leonard Sawyer, Mohammed Shaikh, Bode Brown, Richard Ward. 2nd Year Mechanical Engineering: Adnan Rahman, Bence Balogh. 2nd Year Electrical Engineering: Saif Sabban. 2nd Year Aeronautical Engineering: Thomas Agars. 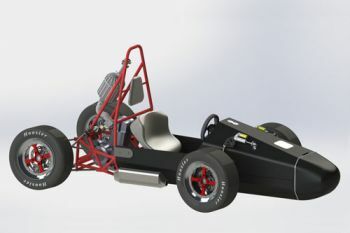 The team has been hard at work over the last few months in perfecting their racing car and presentations. They will be tested on several elements, including costing, business presentation skills and design. 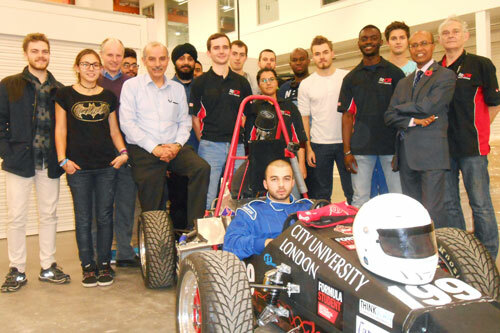 Formula Student forms part of the students’ engineering degree course and counts towards their final mark. The City Racing Team’s, CR16, marks the next evolution for City Racing by taking the monocoque from CR15 and implements a new single cylinder engine from team sponsor, TM Racing. This engine is half the weight of last year’s engine, enabling City Racing Team to take a bold step towards becoming a strong and successful contender. Monocoque construction is an automobile design technique that uses the exterior shell of the vehicle to provide structural support. This can be contrasted with traditional body-on-frame construction, which relies on the frame to provide structural integrity. Monocoque construction techniques were first used as early as 1912. Today, a modified type of monococque construction called “unit body” or unibody is very popular.